Top level domain .NET has reached 15 million registrations this week becoming the fourth leading TLD behind .COM, .TK and .DE. With approximately 110 million registered domains, .COM is way ahead among Top-Level domains. The second position is held by .TK (Tokelau) with more than 15 million domains (the actual statistics are not readily available) followed by .DE (Germany) with 15,5 million domain registrations. 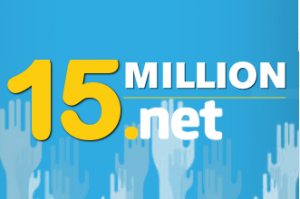 Then comes .NET – an established and credible domain extension hitting a 15 million mark this week. The global top ten list continues with .CN (China – 13.4m domains), .UK (United Kingdom – 10.5m), .ORG (10.3m), .INFO (6.3m), .NL (Netherlands – 5.3m) and .RU (Russian Federation – 4.7m). Close to 139,000 domains registered in other TLDs are instantly forwarded to the same name, but with a .NET suffix. Today the .NET Top-Level domain has just over 15 million registrations, about 10 times the number of registrations in the year 2000 – roughly 1.5 million domains registered at the time. Since 2006, the .NET domain has doubled in size. 12 characters was the average length of .NET domain names created in 2012. With social media growing in popularity, more and more registered domain names are redirected to social media accounts, most notably Facebook. As of March 2013, around 6,500 .NET domains pointed to Facebook – an increase from 5,039 in March 2012 (annual growth of approximately 23%). About half of the 15 million .NET domain names currently registered have been applied for and registered within the United States. Currently, more than 200 countries across the globe host .NET domain names. Close to 48% of the .NET domains registered in India function as e-Commerce sites. Thanks to IDNs (Internationalized Domain Names) which incorporate non-ASCII characters, the Internet has become more functional and globally accessible. It is possible to register a single .NET domain name in as many as 350 various native languages. Verisign requested 3 transliterations of .NET suffix in Simplified Chinese, Hangul and Devanagari last year via ICANN’s new gTLD (generic Top-Level Domain) program. In Japan, the percentage of the total .NET domain registrations (2.51%) almost doubles the percentage of the total .COM domain registrations (1.43%). The DNS security is reinforced via DNSSEC (Domain Name System Security Extensions). In comparison to .COM, the percentage of .NET domains that are DNSSEC enabled is almost twice as much. There are more than 99.9% of .NET domain names with 6 characters or more currently available. It is obvious that .NET is one of the most visible and well-established Internet domains. For more than two decades, it has been one of the world’s most trusted and reliable domains chosen by businesses and institutions seeking to build their online presence. A large number of Web Solutions’ customers have registered this popular and reliable domain. To see if the .NET domain of your choice is available enter your desired name into search form below or contact our Support Team on support@web-solutions.eu.